Boil Idaho potatoes in salted water for 10 to 20 minutes (depending on how large they are) until they are partially cooked. Drain them, cool them and slice them into inch-thick slices. Arrange them on a skewer, place on a grill and baste with a mixture of olive oil, garlic, salt and pepper. Your potatoes should be extra-crispy after about 10 minutes on the grill. 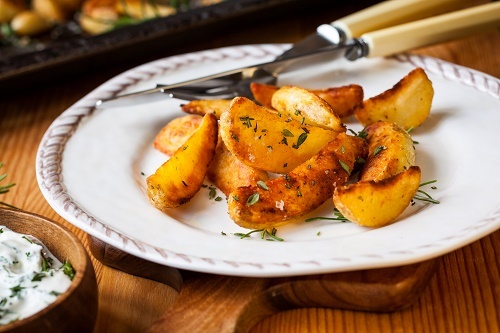 Grilled potatoes are an excellent idea for anyone who likes to cook at home, but doesn’t want to put in too much effort. Potatoes are very tolerant of mistakes, too – it’s hard to go wrong with them. What’s your favorite grilled potato recipe?